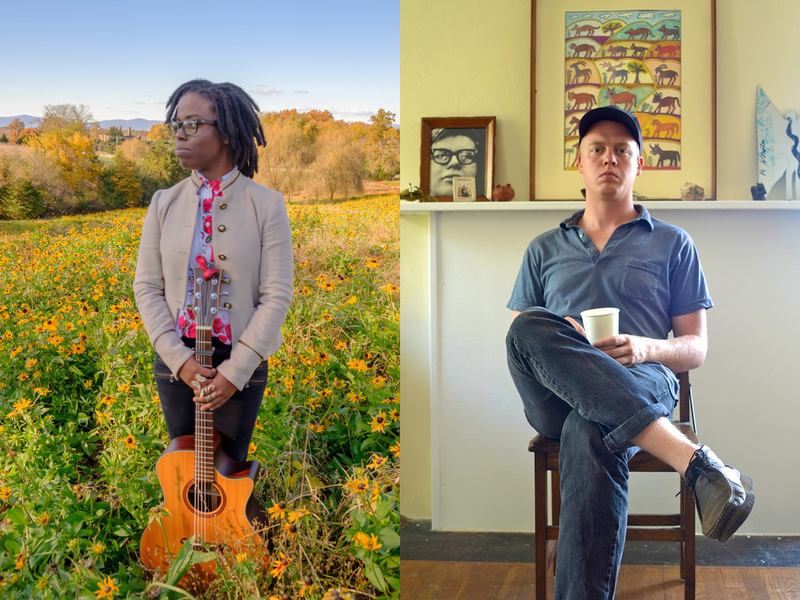 Bowerbird is pleased to present a double bill of fingerstyle and American primitive guitarists Yasmin Williams and Daniel Bachman. Yasmin Williams is an acoustic fingerstyle guitarist with an unorthodox, modern style of playing. Her music has been commonly described as refreshing, relaxing, and unique and has been called some of the most imaginative guitar music out today. She utilizes various techniques including alternate tunings, percussive hits, and lap tapping in her music to great effect. She has won various local talent shows, was a finalist in the Rolling Stones Young Gun guitar competition, was the Grand prize winner of New York University’s Ultra Violet Live talent show, and won the grand prize in Culpeper Has Talent. She was recently featured on NPR’s Weekend Edition Saturday show. She grew up in northern Virginia where various genres of music from smooth jazz to hip-hop were played in her household. She was introduced to the guitar after playing the video game Guitar Hero 2 and became interested in playing the guitar in 2009. She begged her parents to buy her a real electric guitar and once she received her first guitar and amplifier, she taught herself how to play the guitar by ear. After a few years of playing the electric guitar, she taught herself how to play the bass guitar, 12 string guitar, and classical guitar before eventually deciding to switch her focus to the acoustic guitar because of the instrument’s versatility. While in high school, she released her first EP Serendipity in 2012, which she recorded and mixed herself. She graduated from New York University with a BM in Music Theory and Composition in December 2017. Her first album, Unwind, was released on May 4, 2018 and is available on all major streaming services and Bandcamp. The album has charted highly on several Amazon and iTunes charts including top paid albums, and charted at #15 on Billboard’s Heatseekers chart. Daniel Bachman emerged as a guitar wonderkid at the beginning of this decade, quietly asserting himself as the heir to John Fahey’s throne with his prolific and deeply traditional approach to American Primitive music. While others who rode the wave of the instrumental guitar resurgence turned their six-string dexterity to modern interpretations of the style, Bachman has steadfastly mined the limitations of what ghosts can be summoned from his acoustic instruments. Although he had been touring from the age of 17, Bachman “arrived” around 2015 with nods from NPR and Rolling Stone . His charm was found in his traditional approach: a young kid from Fredericksberg, VA paying homage to the deep roots of American music with album titles like Jesus, I’m A Sinner . But there was nothing contrived about his approach. Bachman is not only a proponent of the American folk tradition, but also a true scholar of it, and his constant stream of releases (he’s released 11 records between 2011 and 2016) and near-endless tour schedule on both sides of the Atlantic added to his credentials as a musician cut from the old mold that was otherwise stamped out by global record conglomerates, release cycles, and the homogenizing reach of the internet.